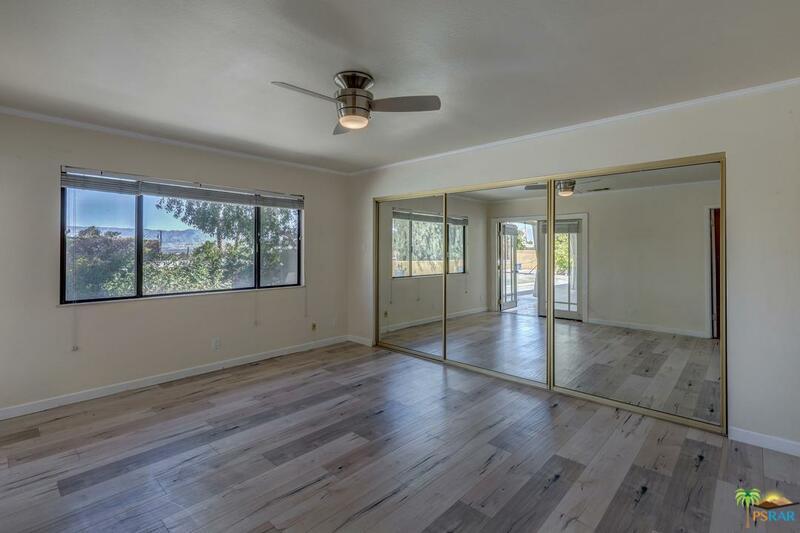 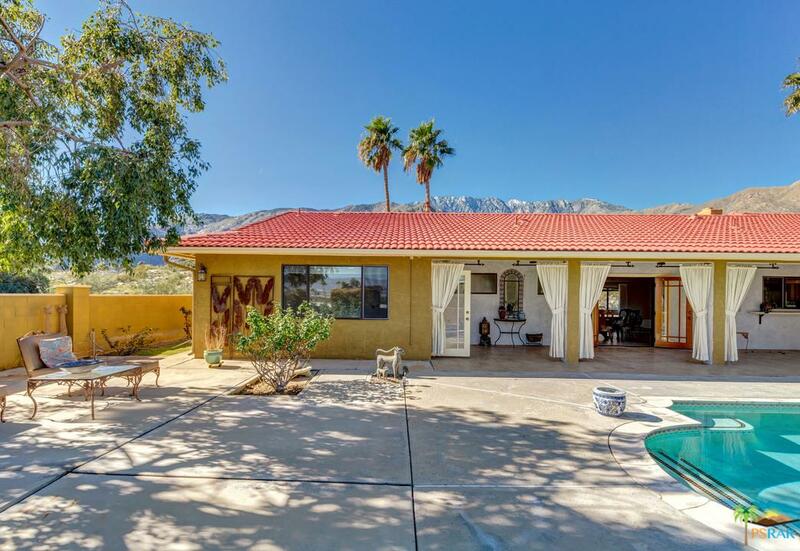 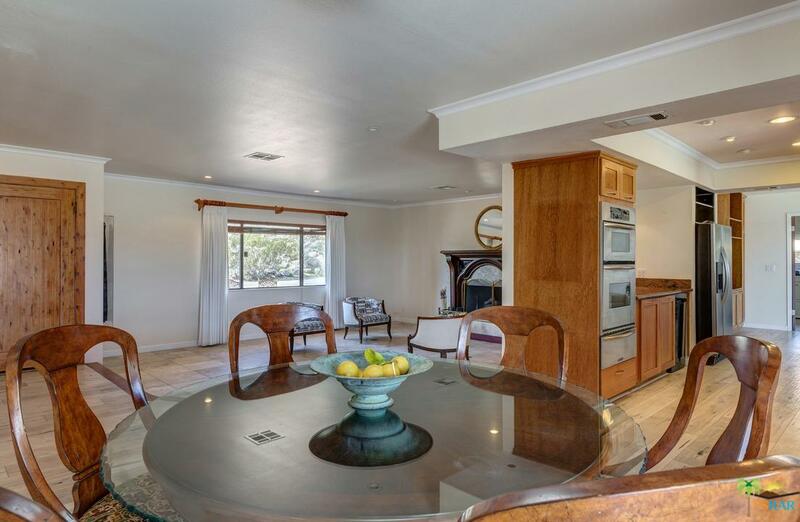 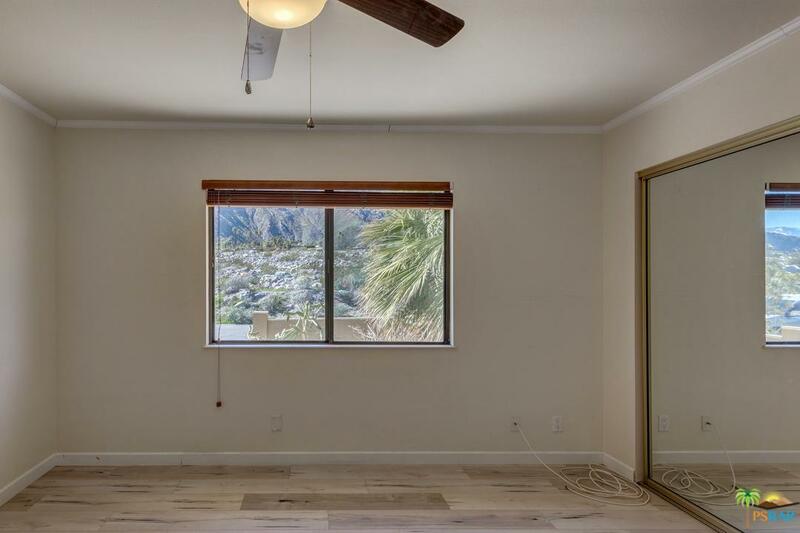 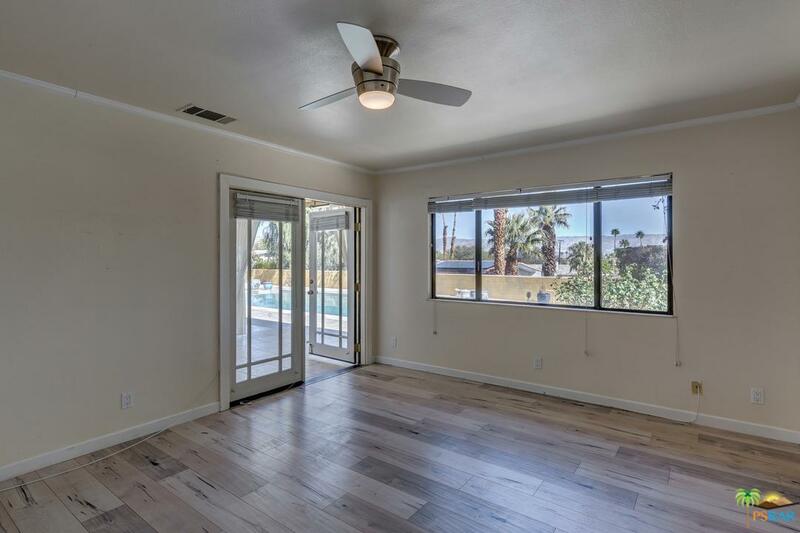 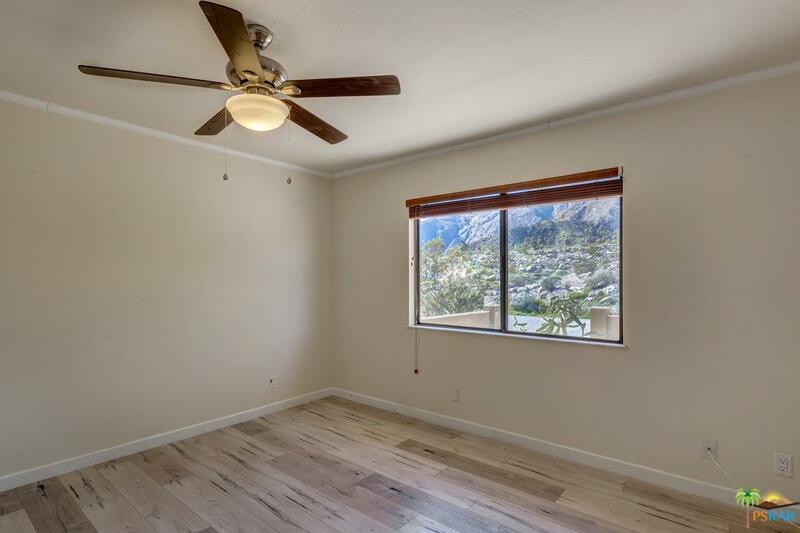 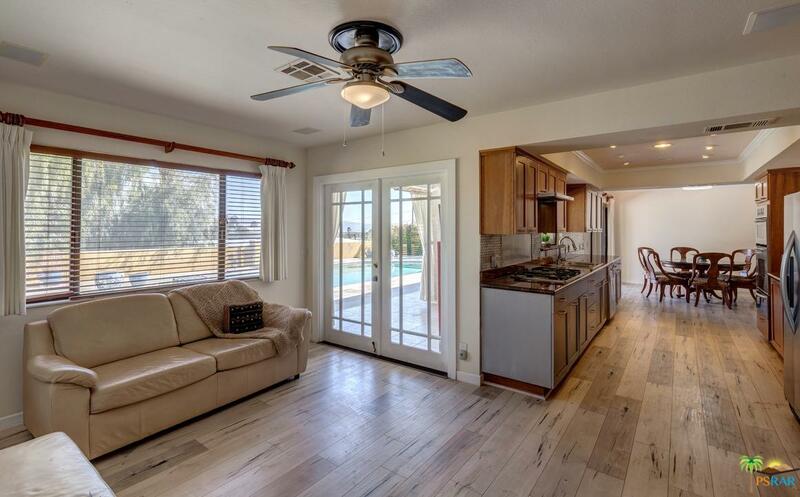 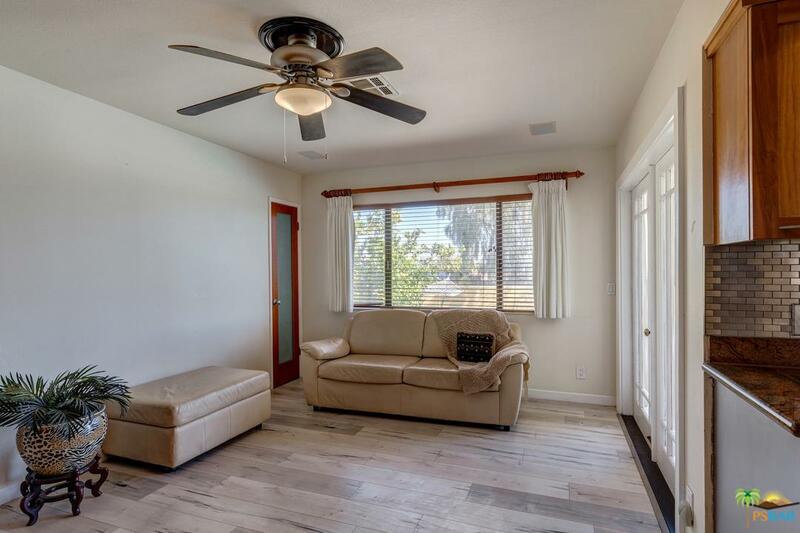 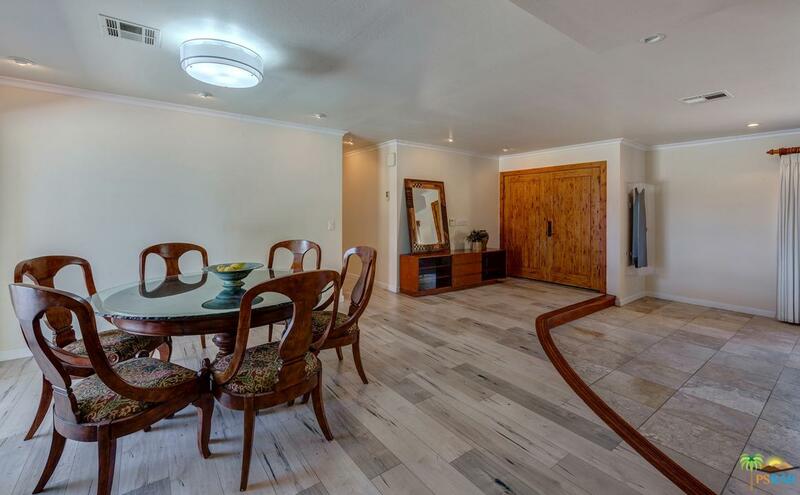 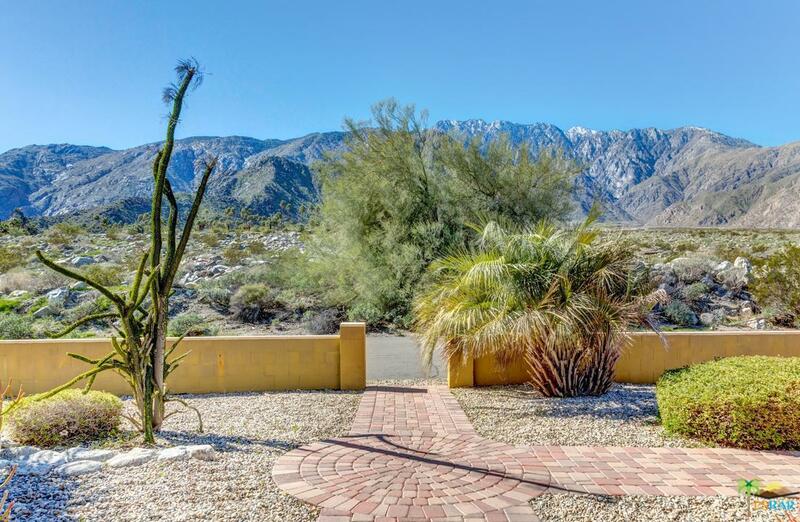 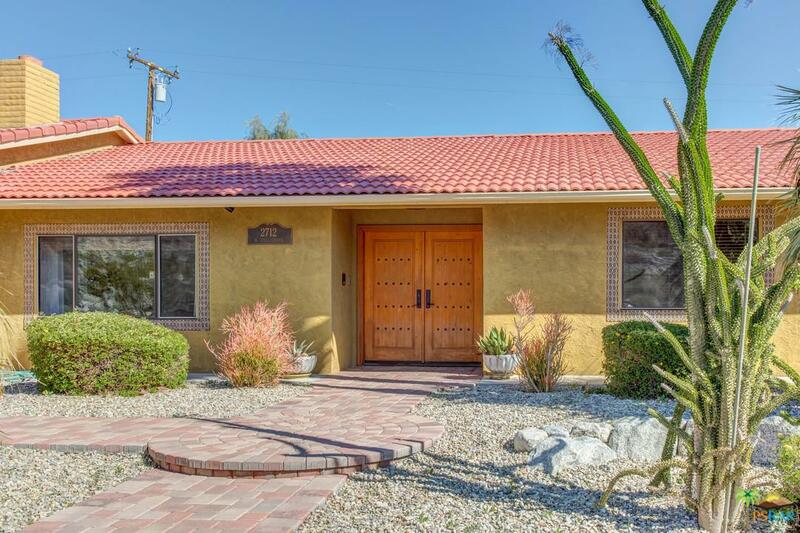 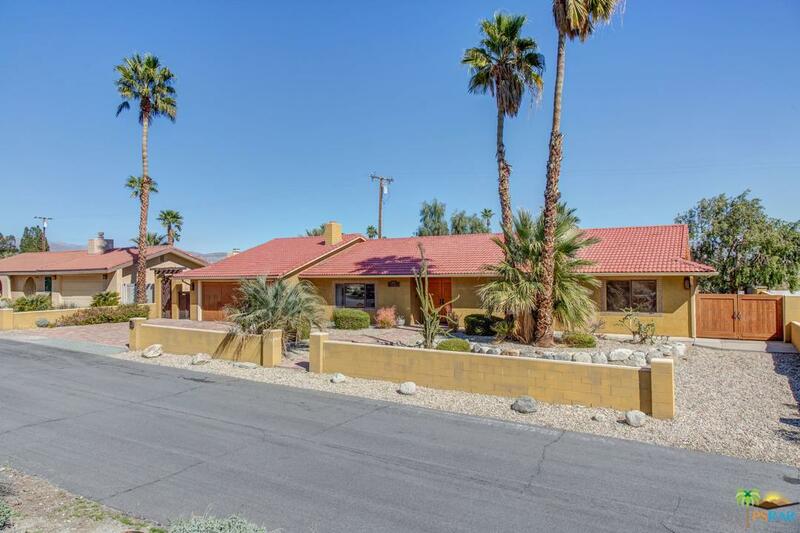 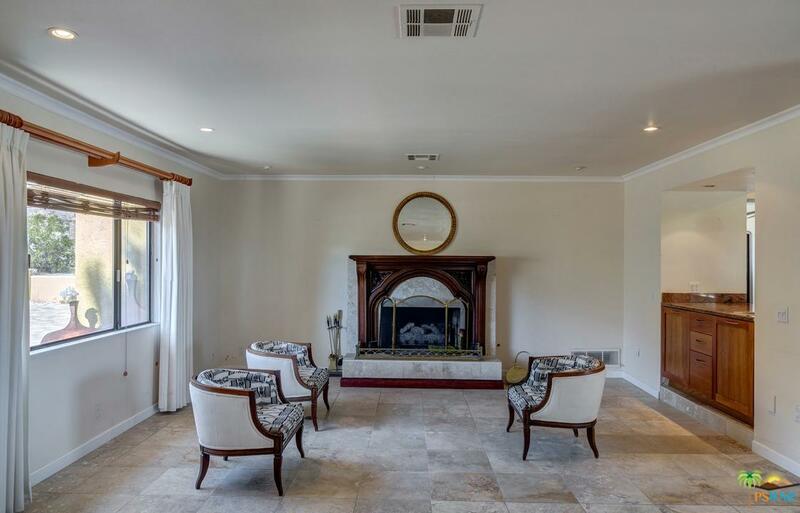 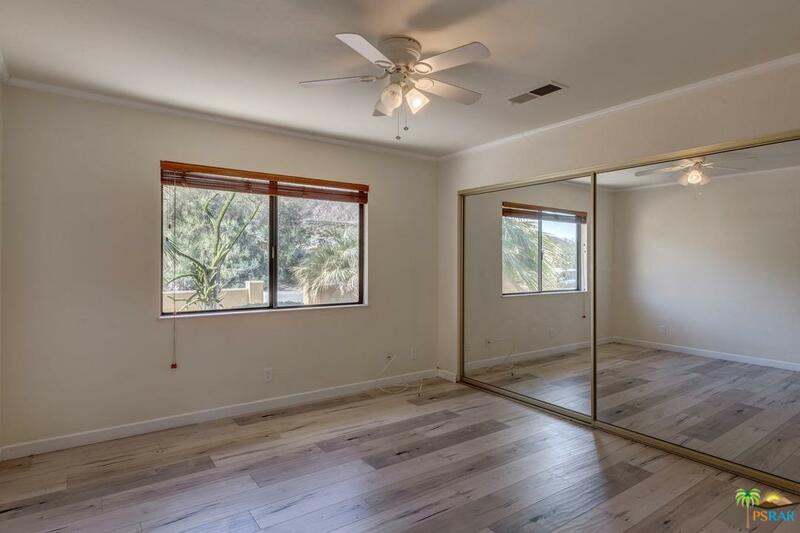 This unique 3-bedroom, 3-bath home, with an unobstructed view of the San Jacinto mountains and the Chino Canyon alluvial fan, offers special features throughout. 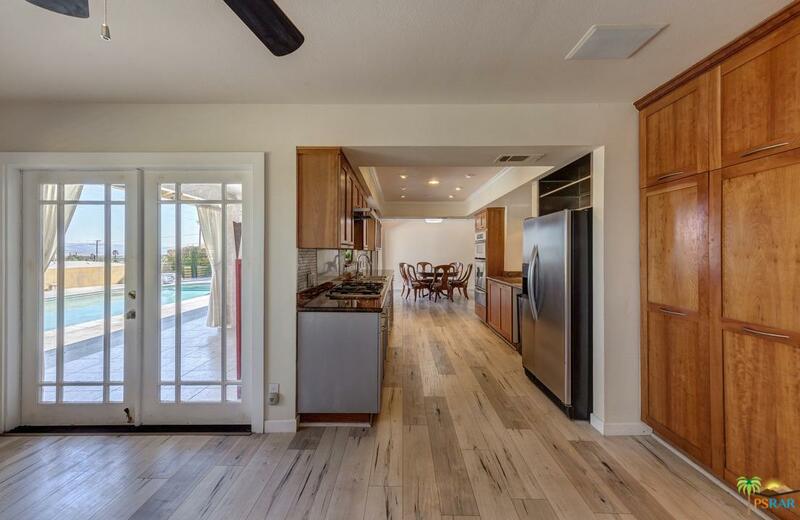 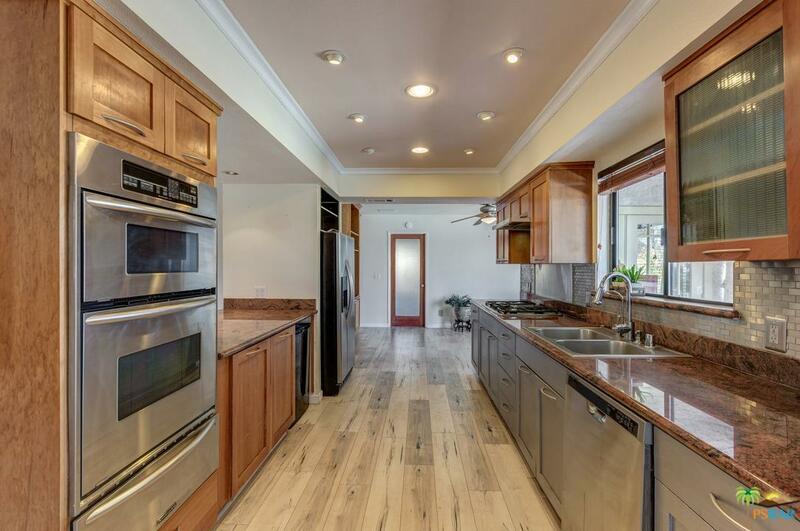 These include a sunken living room with gas fireplace and custom kitchen with pull out shelves, 5-burner gas cooktop, and built-in wall oven with warming drawer. 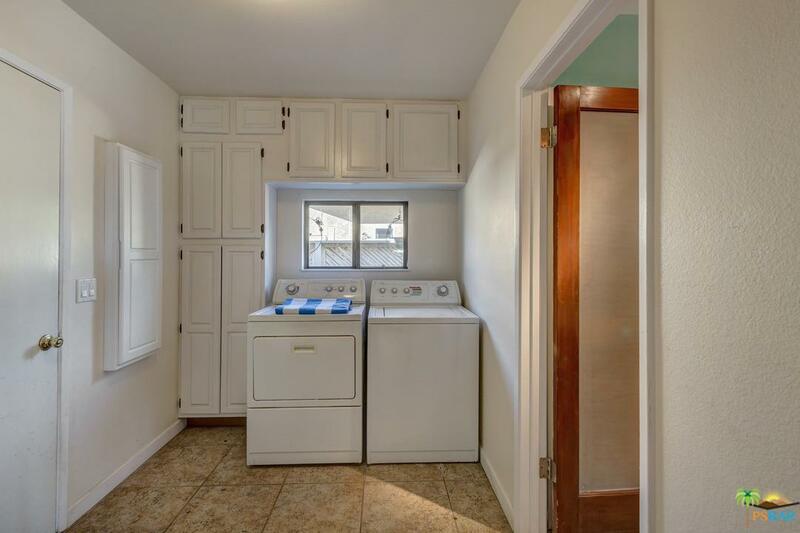 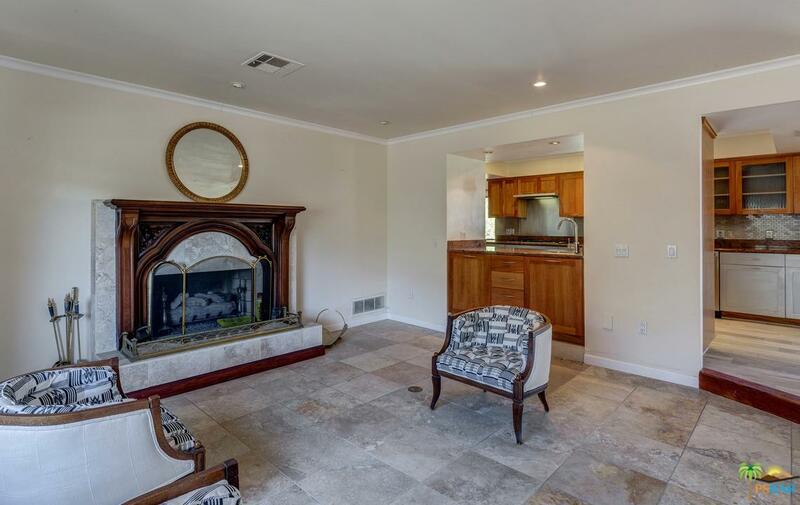 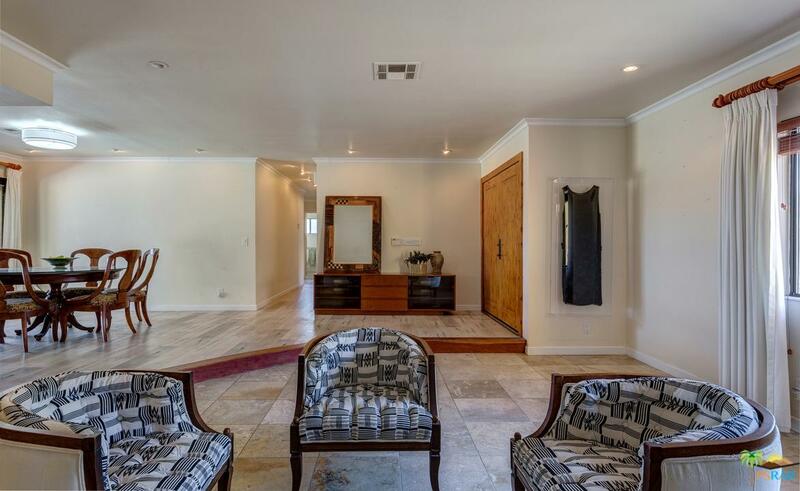 There is a separate TV room and a separate laundry room. 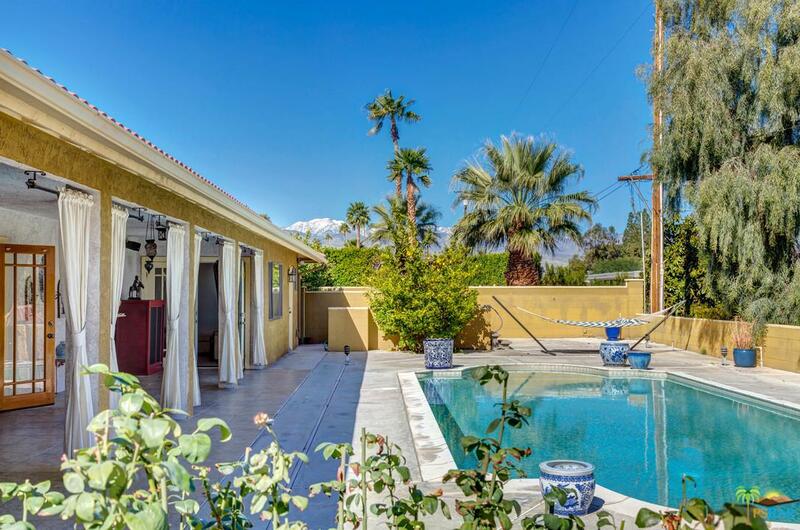 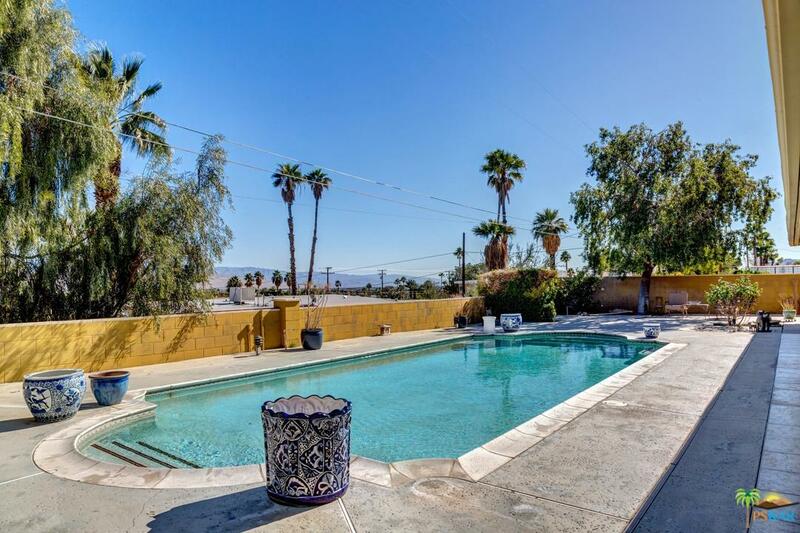 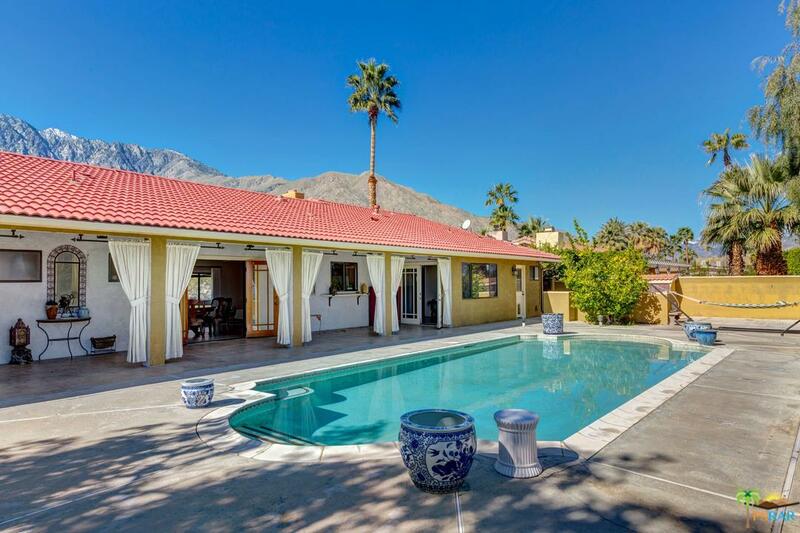 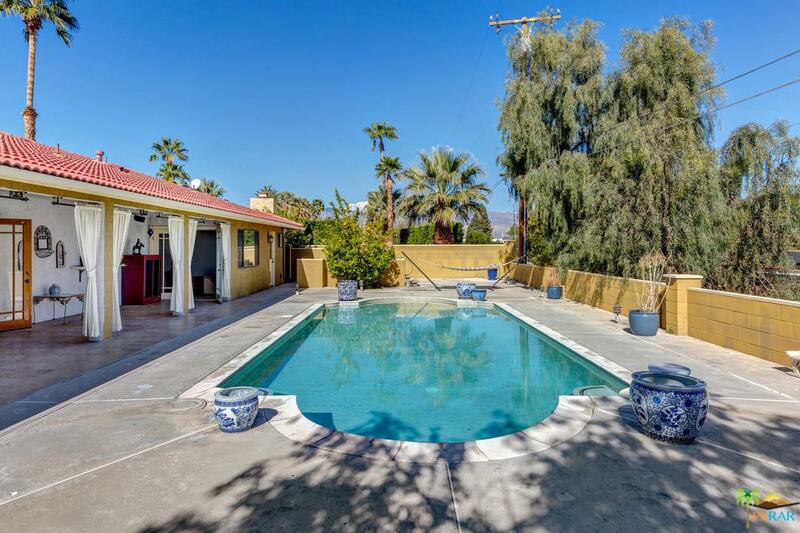 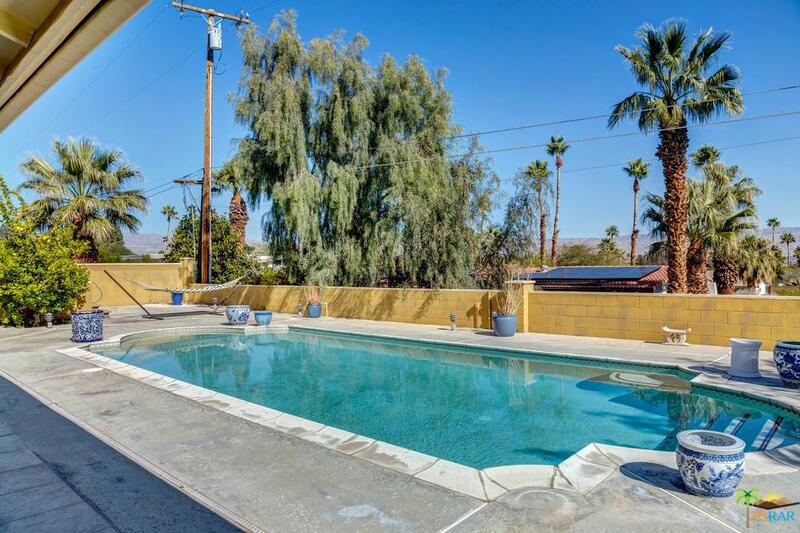 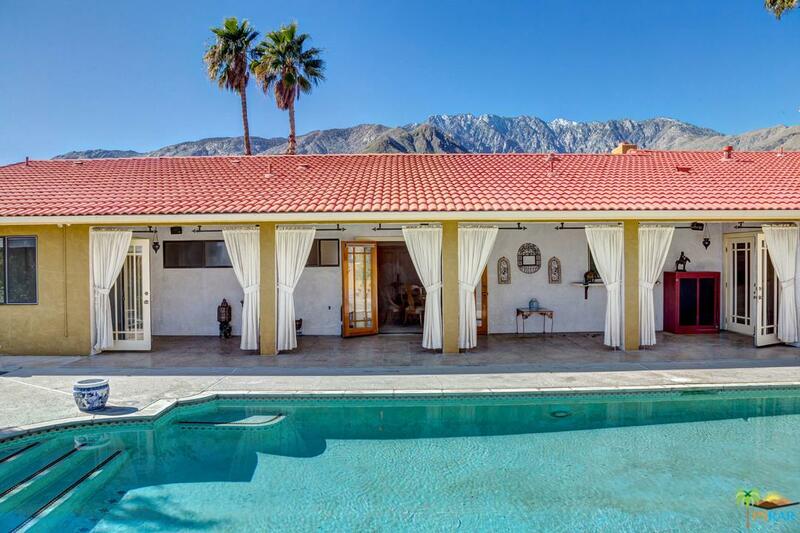 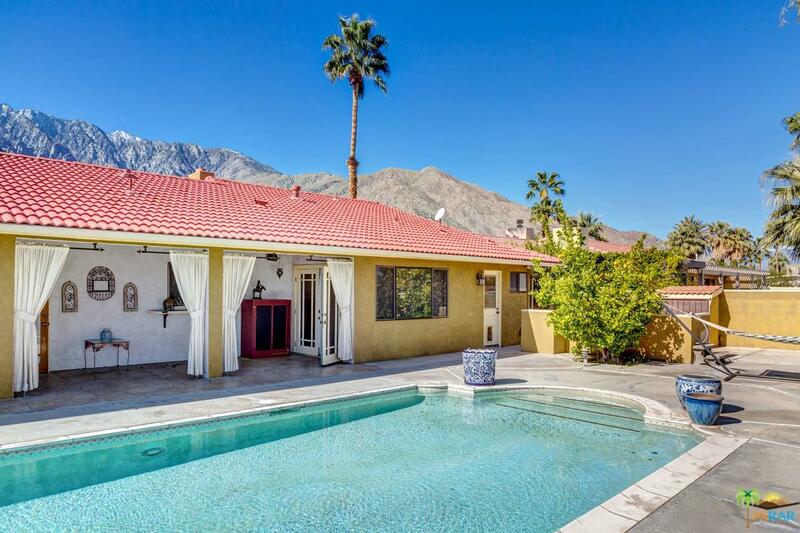 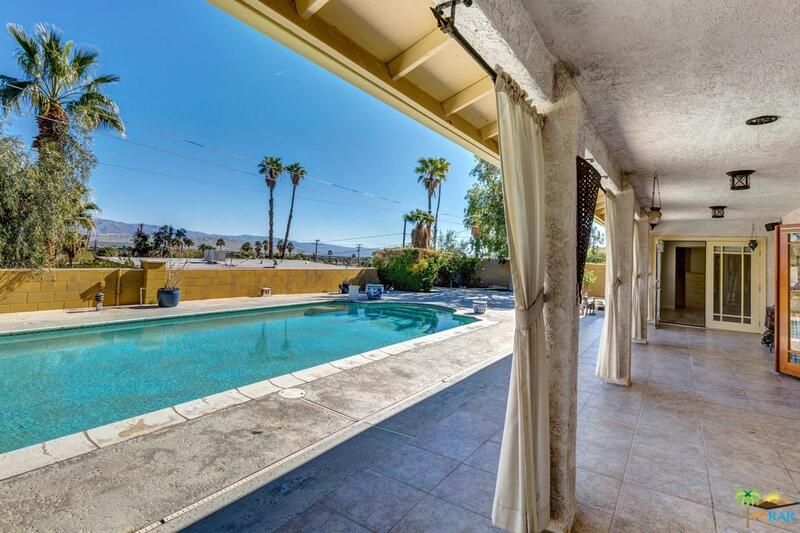 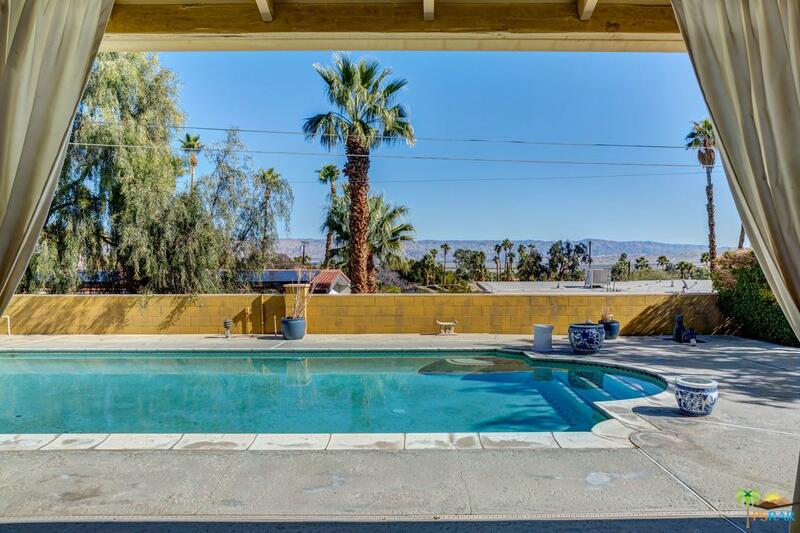 Entertainer's rear yard, elevated above Palm Springs, features a large pool with mountain views across the valley. 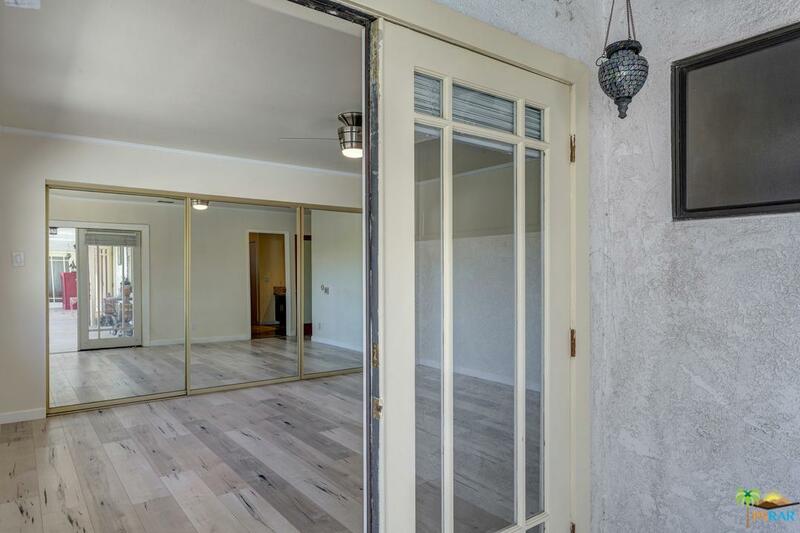 A covered loggia runs the full width of the house. 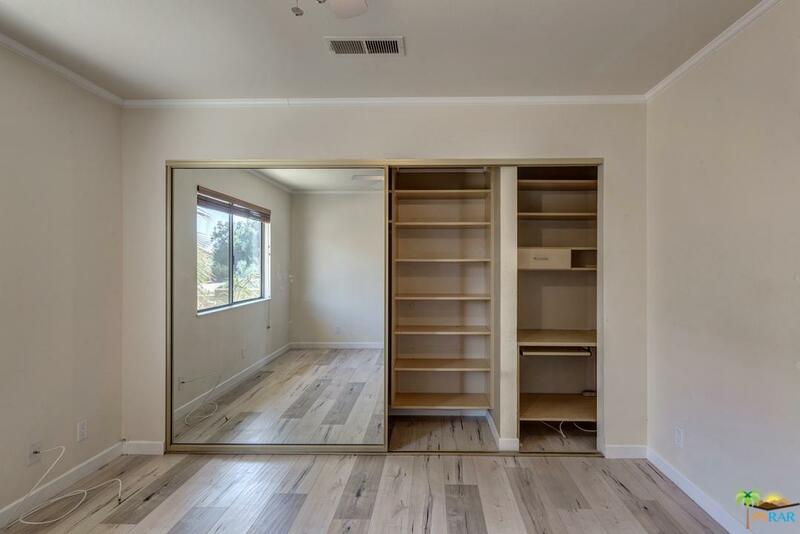 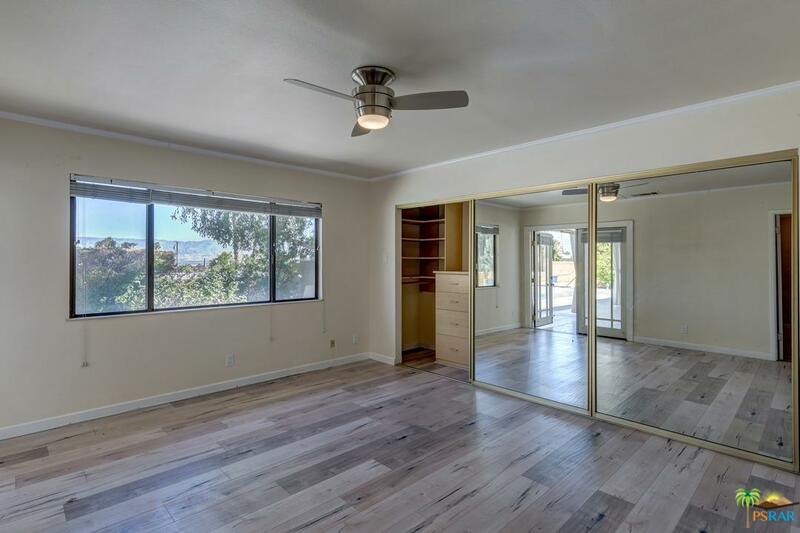 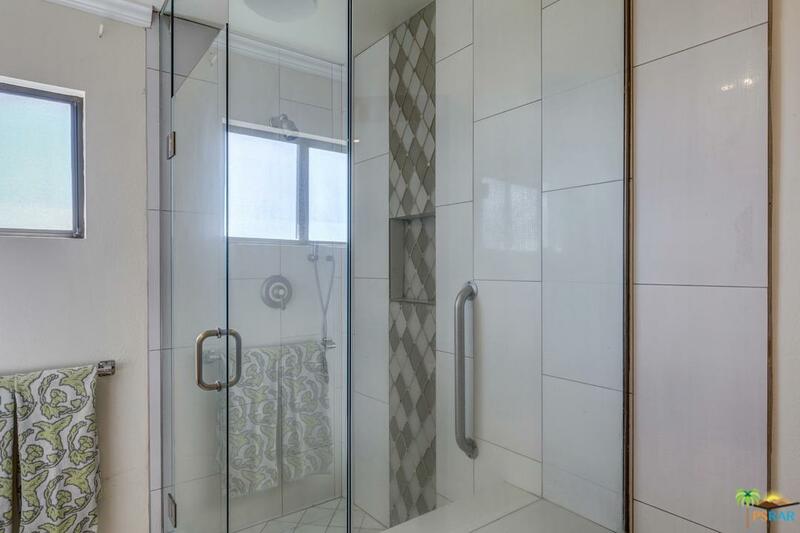 Inside there are many custom touches: Pool bathroom with a steam shower, custom interiors in all of the closets, and ceiling fans in all bedrooms and the TV room. 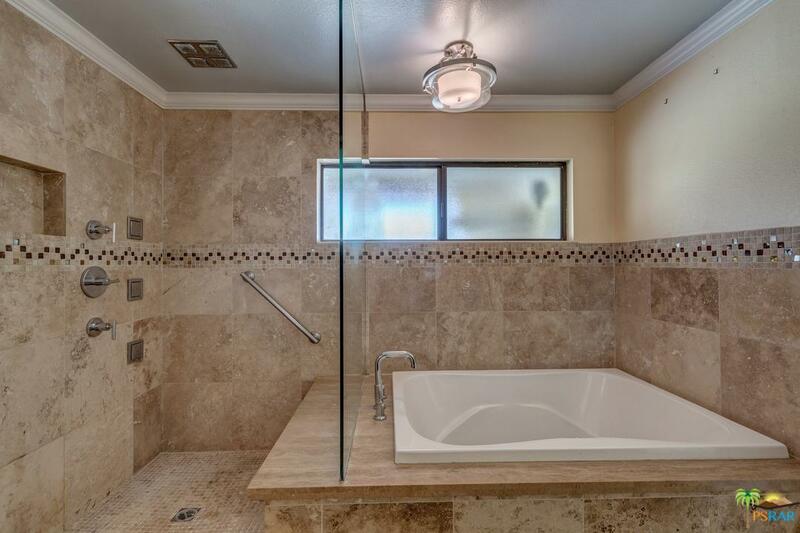 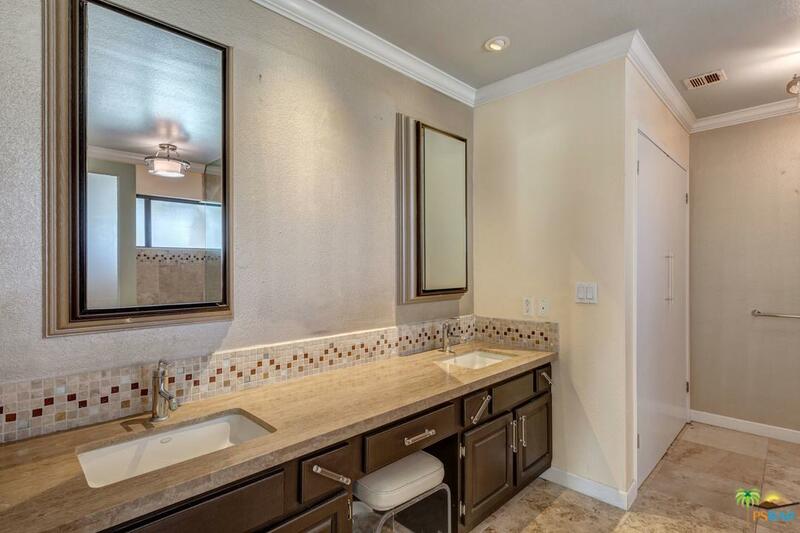 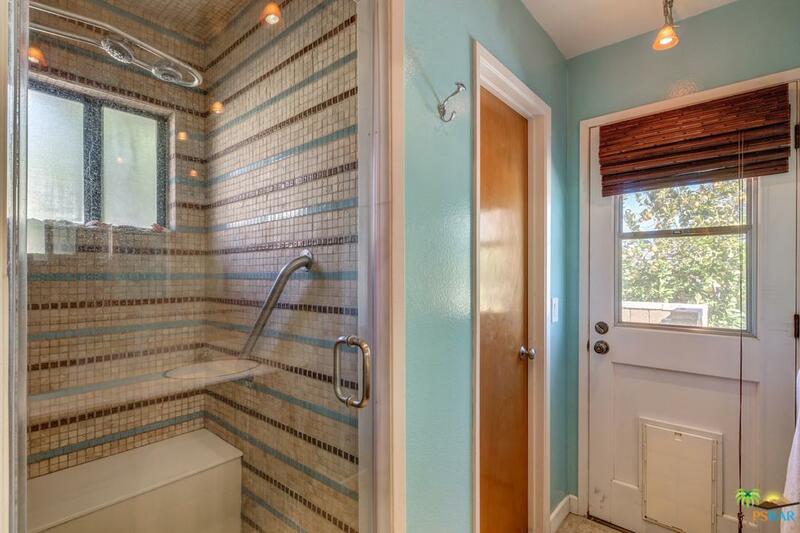 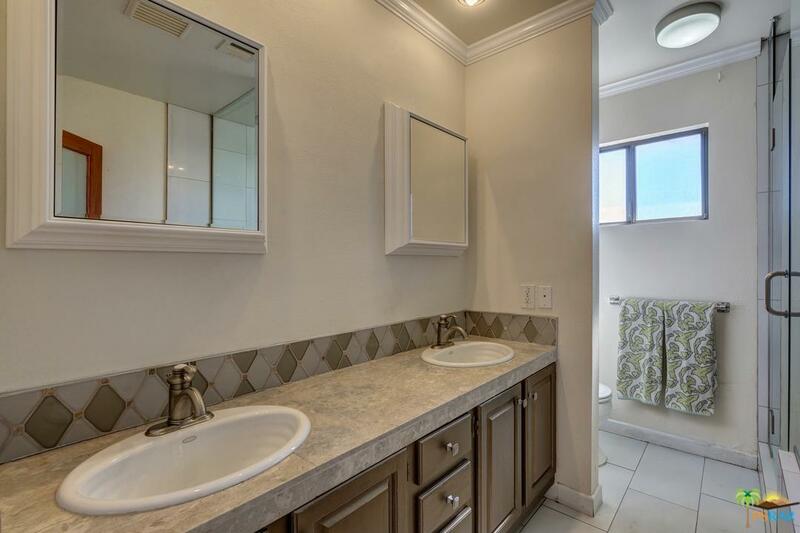 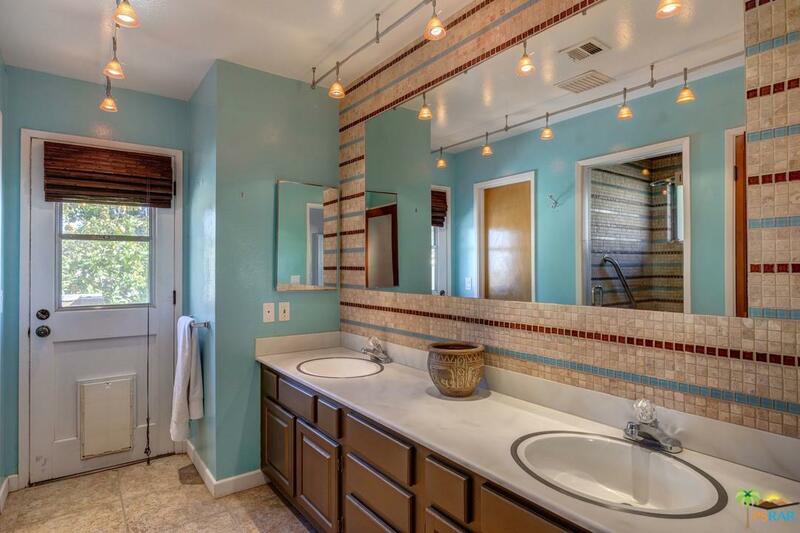 In the master bathroom is a luxury shower with body sprays, and an extremely large soaking tub. 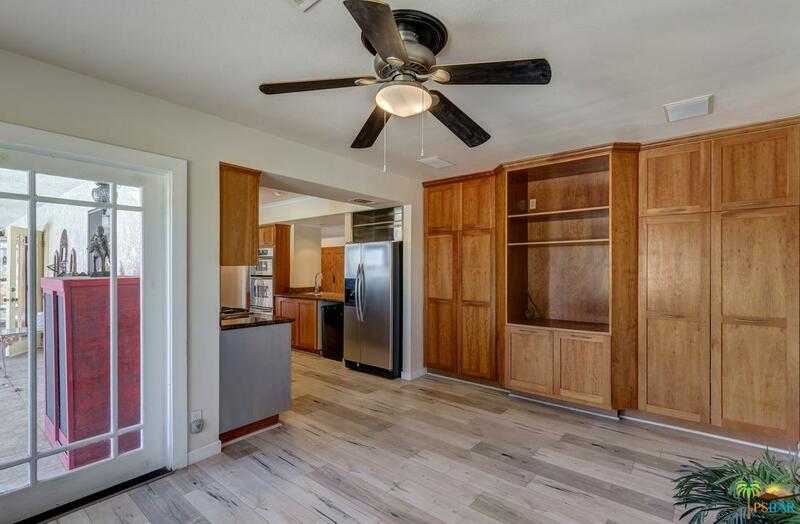 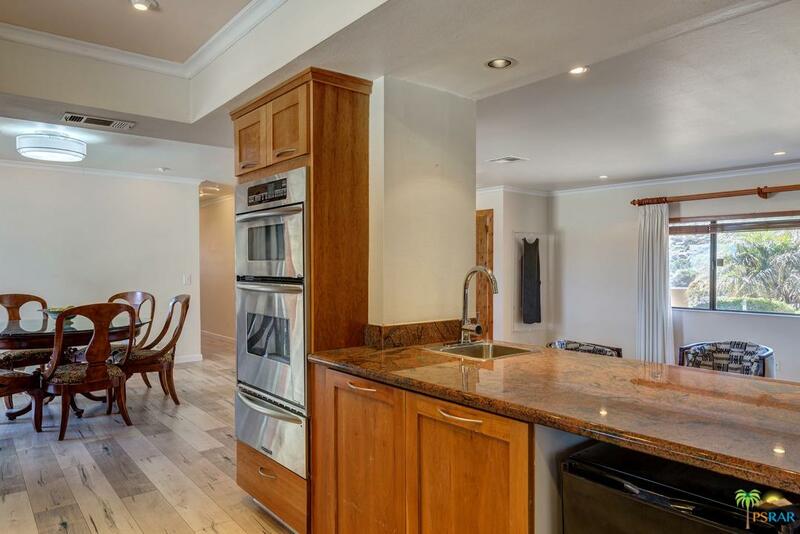 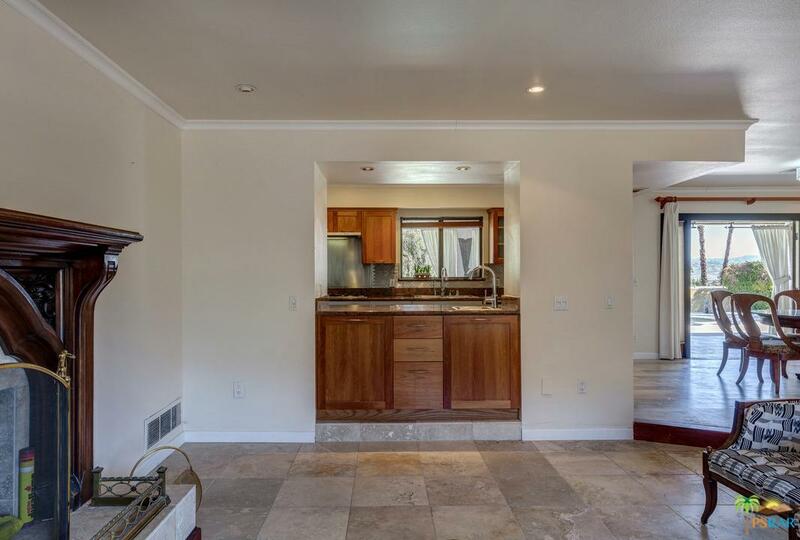 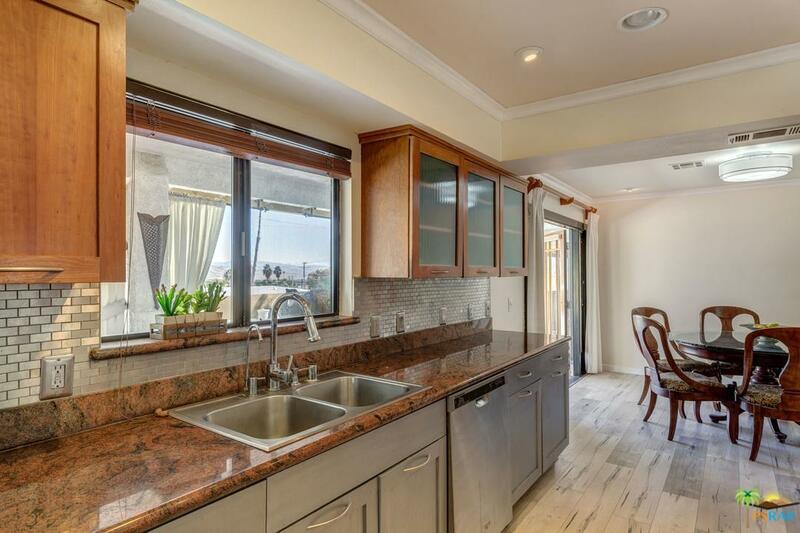 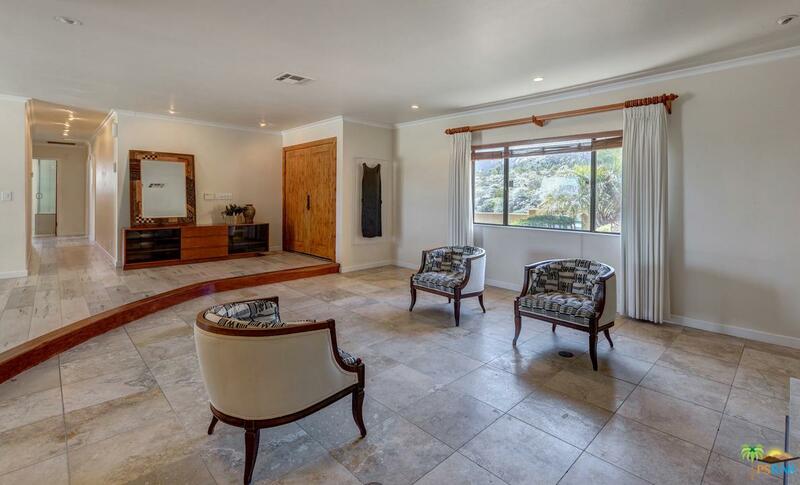 The living room features a wet bar that also opens to the kitchen, with space for a wine fridge. 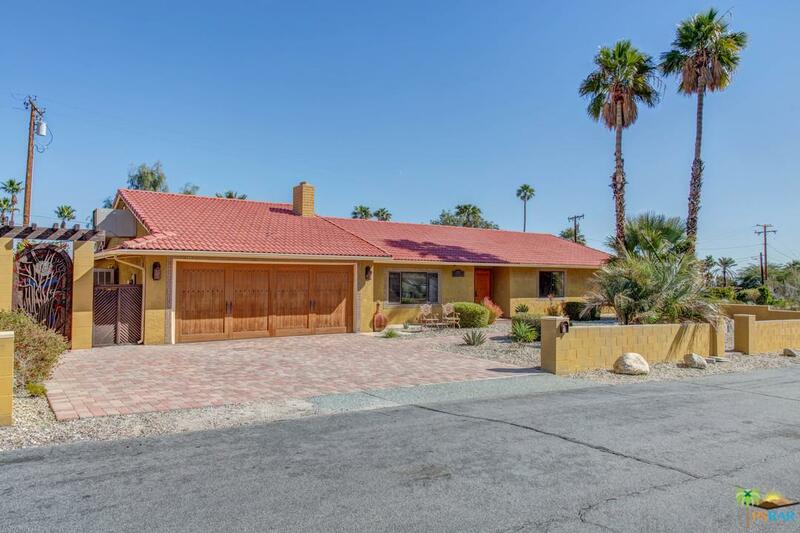 The front features custom paver walkway and oversize driveway, with parking for 3 cars.